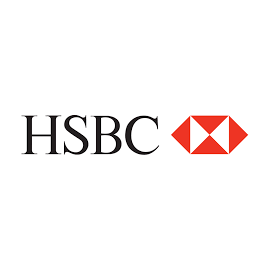 HSBC is one of the world’s largest banking and financial services organisations. HSBC serves around 38 million customers through four global businesses Commercial Banking, Retail Banking and Wealth Management, Global Banking and Markets and Global Private Banking. Their network covers 66 countries and territories in Europe, Asia, the Middle East and North Africa, North America and Latin America. HSBC is looking for a Digital Web Editor in Leeds, United Kingdom. If you meet the requirements below, you will be eligible to apply via Digital Marketing Community. Design and optimization of required pages ensuring all incoming journeys (regardless of channel) are accounted for. Utilize data to further decision making and reporting on the effectiveness of content. Aid deliver output based on the editorial calendar and other planned initiatives. Analyze and communicate key findings in analytics. Lead project work with ad-hoc BAU which comes in. Act as a team with Value Added Messaging and optimization colleagues to ensure page real-estate is marked for their initiatives. Operate with Analytics teams to ensure correct tagging and MI is gathered to review page success. Coach various teams on how to adopt the tools and processes and ensure the processes are being followed. Cooperate with business partners (In country Digital teams, CVM, Marketing, Operations, HOST). Professional diplomas from CIM and IDM would be an advantage. Demonstrated understanding of web publishing tools, content management systems and capabilities and automated translation platforms. Effective experience in a translation or localisation environment. Expert knowledge of digital ‘best practice’ including SEO, writing for web, optimization and accessibility. Proficient experience delivering localized digital content across multiple platforms, especially mobile. Deep knowledge of web technology tools such as XML, HTML, Photoshop, and varying digital asset types. Proven success in delivering multiple contents –related projects, priorities and vendors concurrently. Solid analytical, and planning skills and the ability to work with multiple teams. Strong understanding of project methodology, frameworks and best practice and in particular Agile. Sound relationship management and influencing skills to satisfy a wide range of internal and external customers with conflicting priorities. Respectful of different cultures, working with colleagues from across all 5 regions (North America, LATAM, Middle East, Asia Pacific and Europe). The ability to approach things differently or do different things to deliver goals.